This is the tagline from Samsung’s new video highlighting the now-available Chromebook Pro. Now that the flagship Chromebook will be finding its way to users, Samsung looks to be spreading the word for the much-anticipated device. The launch of the Pro was a bit shaky but it appears that multiple retailers are now stocking the Chromebook and we should see consumers taking deliver in the coming days. Just today we received another unit for review and will be putting it through the paces over the next week to see how it fares against our initial experience. There has been some negative receptions of the Pro around the tech community due to the Pro’s not-so-perfect handling of Android Apps as well as an apparent bug that is causing Chrome OS to crash. We’ve yet to witness this first-hand but you can be sure we’ll be pushing the Chromebook Pro to its limits to see how it stacks up against the competition. 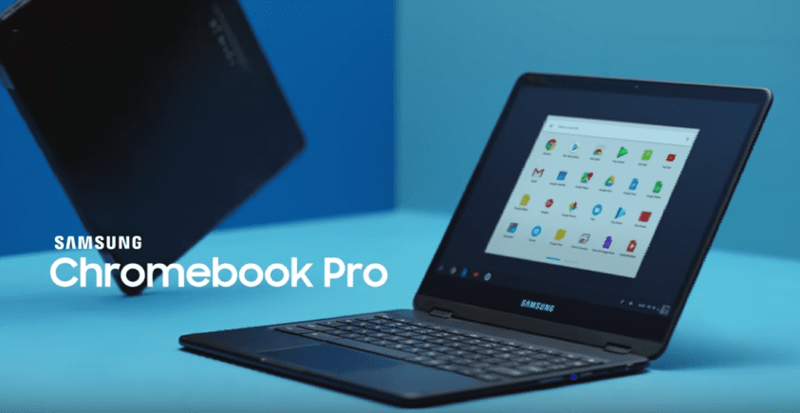 Have you ordered the Samsung Chromebook Pro? We’d love to hear your thoughts. Drop us a line and let us know when you receive it and what your initial impression is on performance. Comment below or shoot me an email at gabriel@chromeunboxed.com.